Continuing coverage on the latest of those mysterious booms being felt and heard across southern Arizona. We finally have one captured on camera. This is yesterday's loud explosion at 2:40PM that rocked homes across Tucson from two different angles. Phil Williams sent this to me from Saguaro National Park NW of Tucson where it seemed to be felt and heard the most especially around Picture Rocks area. I have a call into ASARCO mine to see if they were blasting. I haven't heard back yet. TUCSON, AZ (KOLD News 13) - Something is shaking and it’s been baffling southern Arizona residents for several weeks. Another rumble was felt across Tucson Thursday morning, March 28 as the “mystery booms” continue to rattle homes, this one being the longest to date. The latest happened just before 10:30 a.m. and was again picked up by the seismometer at the UA Geosciences Department. Assistant Professor Eric Kiser told us that this morning’s ‘boom’ had the longest duration to date, lasting nearly 30 seconds. Kiser says the top, middle, and bottom panels are the north/south, east/west, and up/down components of ground motion, indicating the source is either east or west of the area where the rumble was recorded which is in the Catalina foothills. Before this morning’s rumble, the latest incident had happened around 2:40 p.m. Tuesday, Feb. 26 when KOLD News 13 viewers from across the Tucson area reported hearing several loud booms and feeling the ground shake. Phil Williams sent us video from his Ring Camera that captured audio of the Feb. 26 boom. Williams lives near Saguaro National Park, which is on the northwest side. Williams said it felt like the blast came from the southwest area. Davis-Monthan initially said that at 2:30 p.m., they had jets arriving ahead of the 2019 Heritage Flight Training event, but then said all of those aircraft, including F-35s and F-22s, arrived more than 40 minutes before the boom was heard and felt. Anchor Dan Marries has reached out to ASARCO, which operates the Silverbell Mine on the northwest side to see if they were blasting, but has not heard back. A seismometer at the University of Arizona picked up this boom too. “We do not know if what the community is experiencing is indeed a sonic boom. We know that we had F-22s and F-35s land here yesterday and this afternoon for the annual Heritage Flight Training and Certification Course. If the aircraft was approaching to land at D-M, is it highly unlikely it was going fast enough to create a sonic boom,” Public Affairs Officer with Davis-Monthan Air Force Base, Lt. Casey Bell said on Tuesday. Luke Air Force said they had no jets over the Barry Goldwater Range, which is near Ajo. Deputy James Allerton with the Pima County Sheriff’s Department said they received “a large number of calls” from people reporting the boom. Tuesday’s incident was similar to reports from the last few weeks with a large difference -- the others happened in the morning. Around 8:39 a.m. Tuesday, Feb. 5, KOLD News 13 anchor Dan Marries said he felt it not far from Ina and Interstate 10. He posted about it on Facebook and the response was immediate. ANOTHER RUMBLE/BOOM. 8:39 AM. I felt it for several seconds. Shook the house and rattled the windows. NW side near Ina & I-10. Did you feel or hear it? If so, please describe it and share your location. There was a similar sensation at 8:51 a.m. on Thursday, Jan 31. The same phenomenon; a rumble causing homes to shake and windows to rattle. Dan felt that one too on the northwest side and once again, so did so many others on Facebook all across Tucson and surrounding areas. Dan checked with the three closest military installations. Davis-Monthan reported no sonic booms and neither did the 162nd Fighter Wing. 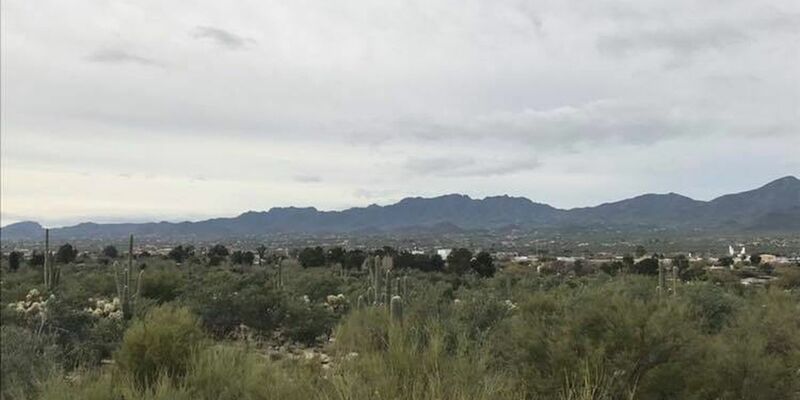 Sean Clements from Luke Air Force Base’s public affairs unit confirmed two sonic booms near Sells, Arizona, about 60 miles southwest of Tucson. BOOM. Mystery solved. Until he gave the times. The first happened at 9:36 a.m. and the second at 10:14 a.m. The incident so many reported feeling and hearing happened at 8:51 a.m. The times are off by more than a half-hour. Not even close. Earthquakes might be more common than you might think in Arizona. Looking at the U.S. Geological Survey earthquake detector, there were no quakes at these particular times eliminating that possibility. Dan checked with the Department of Geosciences at the University of Arizona regarding the Jan. 31 incident. Mining is big business in southern Arizona and blasting is very common so Dan spoke with Debbie McMorrow at ASARCO mining which owns and operates several mines around Tucson. She said ASARCO doesn’t usually conduct blasting in the mornings and certainly did not conduct any during the previous times people felt the shaking. CalPortland also conducts blasting operations but an employee told Dan today the company has not done any blasting in the Tucson area since January 29. Through the process of elimination for these three incidents, it can be concluded that these booms/rumblings were not caused by a sonic boom, earthquake, or mine blasting operations. And so the mystery continues. If you’d like to read up on others felt, check out the comments on Dan’s Facebook page and leave yours as well.